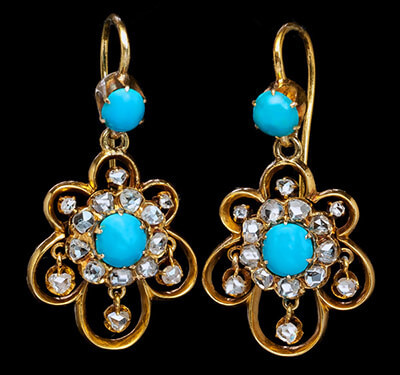 We carry a diverse collection of Victorian Jewelry. 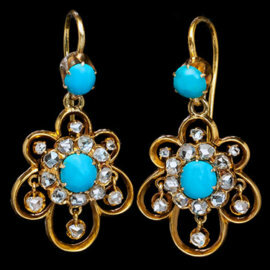 Named after Queen Victoria, who reigned in England during 19th century’s romantic period, the style was heavily influenced by gothic and renaissance themes while incorporating the technological innovations of the Industrial Revolution. 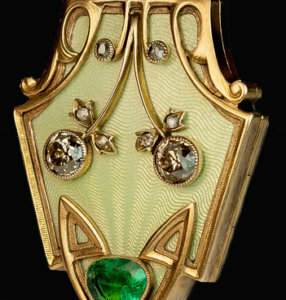 The Art Nouveau period embraced the free-flowing, natural line. Artists interpreted it as the lines found in plants and in women’s hair or curves. 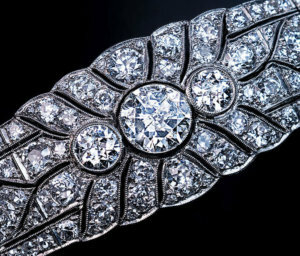 The jewelry of the period dived deep into abstraction, creating an unparalleled avant-garde beauty that pervaded in the 20th century. 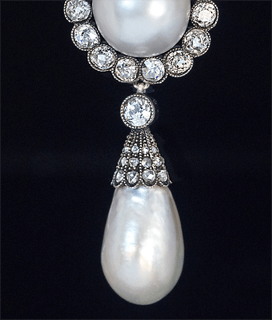 Heavily grounded in the styles of 18th century jewelry, the Edwardian period reassigned the importance of artisan craft. 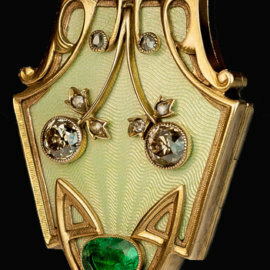 It also took the fluid shapes of Art Nouveau and applied them to create the elegant, minimalist beauty of Edwardian jewelry. In opposition to Art Nouveau, the Art Deco period was inspired by industrialism and cubism. 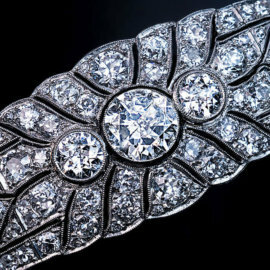 Simplifying objects to their basic, angular geometries, Art Deco jewelry pioneered the beauty of the unadulterated, modern look.